Once you have introduced yourself to your new neighbors, it is time to master the more subtle ways of integrating in Switzerland. 1. Always (always!) say "Grüezi" when hiking the Swiss Alps, even if you are totally out of breath. Swiss will consider you as one of them - otherwise, you identify yourself as a foreigner. 2. But even if you could pronounce "Grüezi" perfectly – resist. Use your accent as an advantage - the Swiss will find it very likable! 3. Say that the Swiss Alps are the most gorgeous mountains you have ever seen. Austrians will tell you that their mountains are at least as beautiful (and considerably cheaper for skiing). 5. If you are invited for dinner, don't leave by 9 PM. Try to be the last one to leave (say, at 2 AM), and your hosts will consider you a local. 8. On your birthday, bring a home-made cake to the office - or Weggli buns and chocolate bars! 11. Say that you prefer Swiss apples over imported bananas. Although the myth that "an apple a day keeps the doctor away" has long been disproved, the Swiss still perceive apples as a staple food. 12. Do not stress a Swiss by pushing them. In any situation. Swiss love it their way, at their speed. Besides, even though they are told not to be fast, they actually work extremely hard! 13. Be punctual. When you agree to meet at 10 PM, be there between 10:00 and 10:05. Don't show up before, and especially not after! If stuck in traffic, give a call. 14. Invite your Swiss neighbors or friends for dinner at your place. They are very excited to visit you and see how you live. 15. Allow for breaks in conversations. The Swiss love this as a way of thinking through what has just been said. 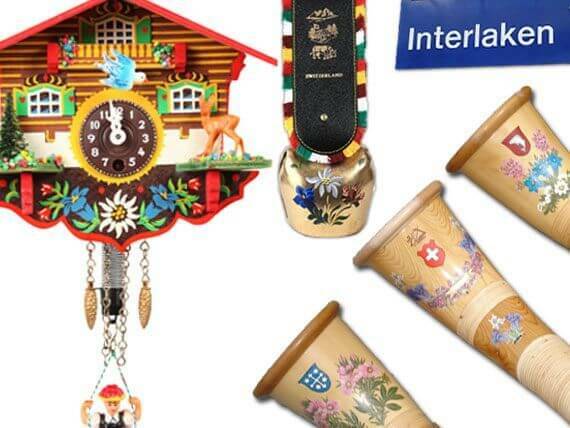 You will notice that it is actually quite a nice habit - the Swiss have known it for a long time. 16. Pronounce the word Chuchichäschtli to perfection and watch your Swiss conterpart's face light up. 17. Ask: "What are the local specialties in your region? Where can I find that?" 18. Don't ask Swiss for their position on joining the European Union. The EU is the most delicate topic you could stumble upon, as Swiss are divided exactly 50/50 on this. 19. And don't bring up the banking system in Switzerland. Just don't.